Few people have served Ridgefield in more ways for more years than Jeremy Wilmot. 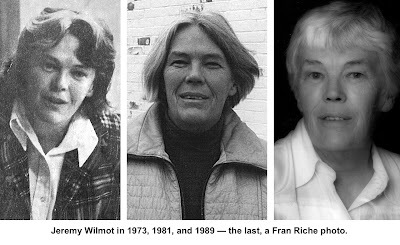 A member of five town government agencies over her half century as a Ridgefielder, she was best known as a champion of historic preservation at a time when Ridgefield was losing some of its ancient buildings and identity. Jeremy Griffiths Wilmot was born in New Jersey in 1929. Her family moved to Connecticut and she graduated from Greenwich High School in 1947, attended the Colorado School of Mines, and later finished her college education at Western Connecticut State University. 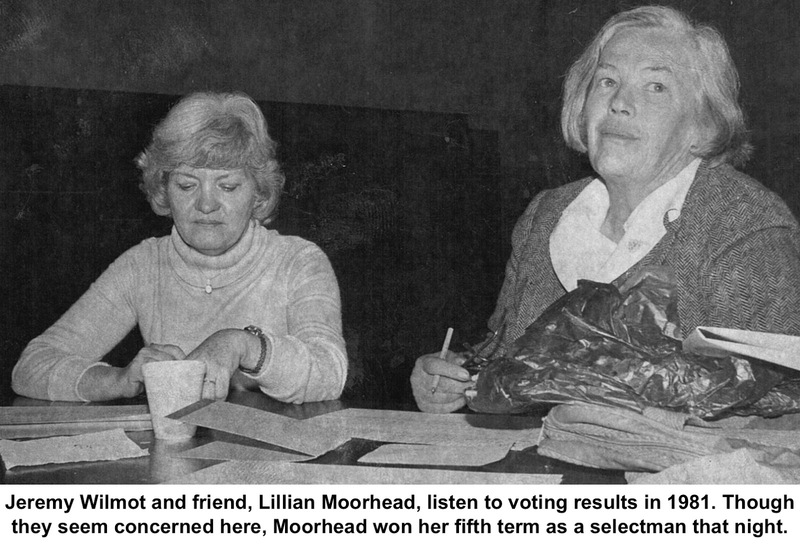 She moved to Ridgefield in 1955 and, along with raising a family, began her involvement with the community by joining the League of Women Voters and by penning letters to The Ridgefield Press on wide variety of issues. As a member of the town’s first Charter Revision Commission in 1963, she got to know the inner workings of Ridgefield government. She later served on the Historic District Commission and on the Zoning Board of Appeals. In 1989, she was elected to the Planning and Zoning Commission, but in the 1990s, left to be elected a member of the Board of Selectmen. Architectural Resources Survey, cataloguing the construction techniques, architectural style, and significant social history of some 600 of the town’s buildings. The 1,500-page document was adopted as an official part of the town’s Plan of Conservation and Development, and is still used regularly by the town planning staff to make owners aware of their properties’ history. Her work in “sensitizing” people to Ridgefield’s history didn’t end there. She worked on setting up an early oral history program for the Keeler Tavern Preservation Society, and organized a Catoonah Street Festival to celebrate that neighborhood’s varied mix of architectural styles; in the process, she helped produce a booklet describing the street’s history and buildings. Her research and passion for preservation were involved in the efforts to save the Weir Farm as a national park and to renovate the old Ridgefield High School auditorium into today’s Ridgefield Playhouse. Wilmot was also active in the Democratic Party, serving on the Democratic Town Committee and attending state conventions, often as a delegate and frequently challenging the party establishment on behalf of the liberal or peace wing of the party. She was also involved in the Ridgefield Women’s Political Caucus, a 1970s organization whose legal actions against the town led to the expansion of the Ridgefield Boys Club into the Ridgefield Boys and Girls Club. For a time she made her skills available professionally as a “house detective,” researching for property owners the architecture and history of their homes. She also led workshops on how to research a property's past. Over her years in Ridgefield, she and her former husband, Clifford, owned several old homes, including one overlooking Lake Mamanasco at the end of Pond Road. She later moved to a large old house on Main Street near the fountain, and then to a historic house on upper Wilton Road West. In the late 1990s she relocated to Lakeville for a decade or so, before returning to Ridgefield for her final years. She died in 2010 at the age of 80.